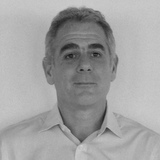 Scott is the Managing Partner and Founder of Spectra FX Solutions. he is based between London and NYC. Prior to establishing Spectra FX Solutions, Scott was a Managing Partner of Currency Partners LP and the founder and CEO of SRG Capital LP, discretionary currency hedge funds based in London. Scott has a degree in Economics from the State University of New York at Binghamton.